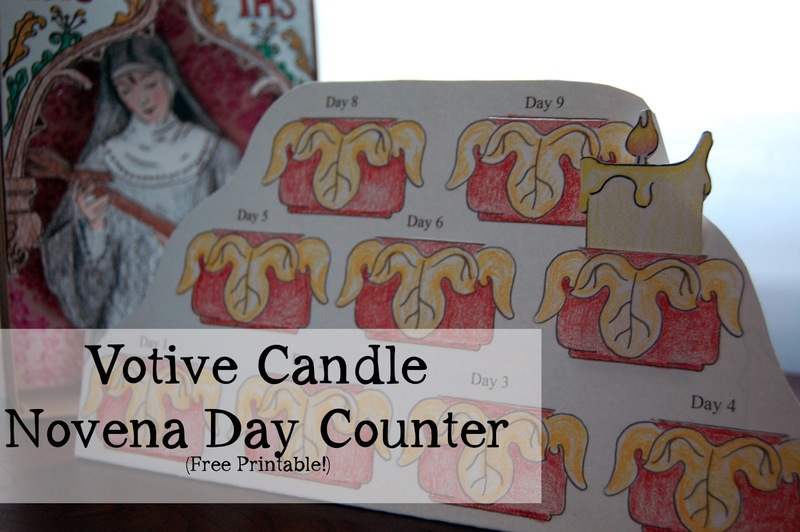 Doodle La: Votive Candle Novena Day Counter. 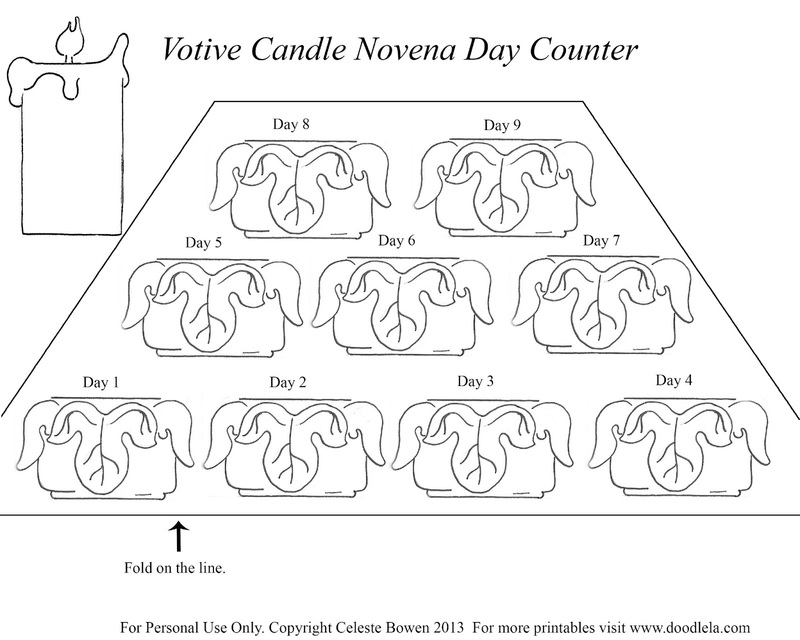 Votive Candle Novena Day Counter. Yesterday I posted about the St. Rita project, and today I'm sharing with you the day counter. If you aren't familiar with Novena prayers here is a little background. 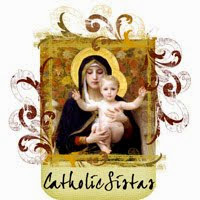 WASHINGTON, DC (Catholic Online) - The Catholic Encylopedia on our site defines a Novena as "nine days' private or public devotion in the Catholic Church to obtain special graces." While the number eight in the Judeo-Christian tradition was always thought of as a festive number of new beginnings, the number nine seemed to be often linked with suffering. On the tenth day, Pentecost, the Holy Spirit came upon them and the Church was born. 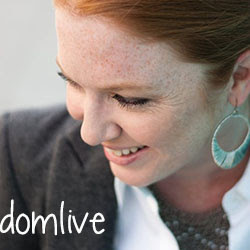 I remember hearing a sermon many years ago asking the question, "What if they had given up and left?" The persistence of the Christ's followers and His mother to wait for the promise ended in fulfillment. On the Feast of Pentecost, tongues of fire appeared of each of their heads declaring the coming of the Holy Spirit. Nine day vigils were noted in Church history from the third century onward. By the middle ages novenas for the Pope and Cardinals were commonplace. Still today, whenever we undertake a novena of prayer, we are declaring that same supreme desire to wait for the promise, persevering with confidence until the end. Either as a public or personal observance, a novena involves nine days of hopeful anticipation of an answer for the petition or intention for which prayers are being offered. Often a sense of urgency and earnestness accompanies these times. they are also a wonderful witness to a belief in the power of prayer and the dynamic role of genuine faith. When we pray a Novena, we either pray the same prayer for all nine days or follow a list of prayers to be prayed for each day. Every novena is a bit different in the intention, formation of prayers and practice. The Catholic Encyclopedia goes on to say, "The novena is permitted and even recommended by ecclesiastical authority, but still has no proper and fully set place in the liturgy of the Church. It has, however, more and more been prized and utilized by the faithful." Parishes often offer a novena of Masses for the departed or for a special intentions, such as mothers and fathers or vocations to the priesthood and the religious life. There are a number of Novenas, most of which focus upon Mary, St. Joseph, the Sacred Heart, particular Saints, a special theme such as Divine Mercy or the Holy Family, or preparing for Special Feasts. 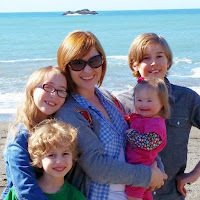 Often they are focused on special needs of the whole Church or a particular part of the Church. On the day after Ascension the Church often enters in to a Novena to the Holy Spirit, which culminates with the Feast of Pentecost. In our own day it is time to reach into the treasure house of the traditions of prayer within the Church and pull out treasures old and new. (Matt. 13:52) The Novena is just such a treasure. Click the picture below to download your free copy! This is so fantastic. We are visual people who forget ;0) Thank you!